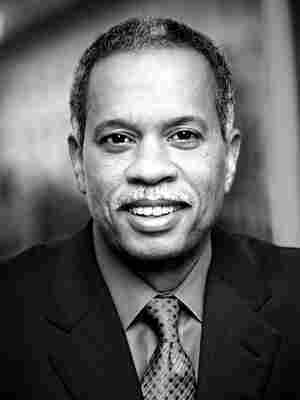 NPR's Firing of Juan Williams Was Poorly Handled : NPR Public Editor After a decade with NPR, the network terminated news analyst Juan Williams for comments made on Fox News. Williams' controversial comments on Fox were not an isolated incident, but NPR owed him a chance to explain himself. Juan Williams once again got himself into trouble with NPR for comments he made at his other job, at Fox News. And NPR's reaction has unleashed an unprecedented firestorm of criticism directed not at Williams – but at NPR. Thursday was a day like none I've experienced since coming to NPR in October 2007. Office phone lines rang non-stop like an alarm bell with no off button. We've received more than 8,000 emails, a record with nothing a close second. NPR's initial story garnered more than 6,800 comments, many supporting Williams and others asking why it took so long to fire him. Here's Thursday's story. At noon, the deluge of email crashed NPR's "Contact Us" form on the web site. The overwhelming majority are angry, furious, outraged. They want NPR to hire him back immediately. If NPR doesn't, they want all public funding of public radio to stop. They promise to never donate again. They are as mad as hell, and want everyone to know it. It was daunting to answer the phone and hear so much unrestrained anger. The latest, and final, episode involving Williams took place Monday on Fox's The O'Reilly Factor. He and host Bill O'Reilly discussed whether America had a "Muslim dilemma." "I mean, look, Bill, I'm not a bigot. You know the kind of books I've written about the civil rights movement in this country. But when I get on the plane, I got to tell you, if I see people who are in Muslim garb and I think, you know, they are identifying themselves first and foremost as Muslims, I get worried. I get nervous." Later in that segment, Williams did challenge O'Reilly's apparent contention that every Muslim on the planet is an extremist bent on attacking America. It took a day for Williams' remarks to bleed into the blogosphere. But then, it was like opening a fire hydrant. Hundreds wrote or called demanding that NPR fire Williams or at least discipline him. Many have been troubled over the years by the dual role that Williams has played: balanced news analyst on NPR; more opinionated pundit on Fox. "On the Radio, Williams is somewhat of a thoughtful though superficial moderate while on FOX he shows his politically correct submissive Pro Fox bigotry for a few dollars more," wrote Mohamed Khodr, a doctor from Winchester, VA, who was among scores who contacted me Wednesday. "NPR must and should take a stand against this bigotry and tell Williams' he must choose NPR's code of ethics or be let go to join the racist bigoted fearmongerers of FOX," continued Khodr. "NPR can't have it both ways." NPR's management acted. In a statement released at 12:27 a.m. Thursday, NPR said Williams' remarks "were inconsistent with our editorial standards and practices, and undermined his credibility as a news analyst with NPR." This was far from an isolated incident. Williams' appearances on Fox News, especially O'Reilly's show, have caused heartburn repeatedly for NPR over the last few years. Management said he's been warned several times that O'Reilly is a professional provocateur and to be careful. After other inflammatory comments on Fox, in April 2008 NPR changed Williams' role from news correspondent (a reporting job) to news analyst. In this contract position, he was expected to report, think quickly and give his own analysis – while carefully choosing his words on any given subject. "News analysts may not take personal public positions on controversial issues; doing so undermines their credibility as analysts, and that's what's happened in this situation," said Schiller in an email to NPR member stations, some of which are upset about Williams' firing. "As you all well know," she continued, "we offer views of all kinds on your air every day, but those views are expressed by those we interview – not our reporters and analysts." In 2008, I received 378 emails complaining about remarks Williams made on Fox – but I heard very little about his comments on NPR. My February 2009 blog post on the Stokely Carmichael incident drew 216 comments – many asking why NPR put up with Williams' dual role. In fact, since I became Ombudsman in October 2007, no other NPR employee has generated as much controversy as Williams. That said, Williams provided a valuable voice on NPR. His long experience as a journalist and background as an authority on the Civil Rights movement enabled him to offer insights that often enriched the network's reporting. Ultimately, however, it seems management felt he had become more of a liability than an asset. Unfortunately, I agree. It can't be overlooked that this episode is occurring in a toxic political environment where people are quick to take sides and look for hidden motives. I fear some will look for racial motivations in NPR's decision to fire Williams, who is African-American and one of the few black male NPR voices. It's not about race. It's also not about free speech, as some have charged. Nor is it about an alleged attempt by NPR to stifle conservative views. NPR offers a broad range of viewpoints on its radio shows and web site. Instead, this latest incident with Williams centers around a collision of values: NPR's values emphasizing fact-based, objective journalism versus the tendency in some parts of the news media, notably Fox News, to promote only one side of the ideological spectrum. The issue also is whether someone on NPR's payroll should be allowed to say something in one venue that NPR would not allow on its air. NPR's ethics code says they cannot. Many emails asked for an explanation of how these latest comments were specifically outside NPR's rules and expectations – especially since Williams was being honest about his prejudices and fears. NPR, like any mainstream news outlet, expects its journalists to be thoughtful and measured in everything they say. What Williams said was deeply offensive to Muslims and inflamed, rather than contributing positively, to an important debate about the role of Muslims in America. Williams was doing the kind of stereotyping in a public platform that is dangerous to a democracy. It puts people in categories, as types – not as individuals with much in common despite their differences. "But when I get on the plane, I got to tell you, if I see an African American male in Dashiki with a big Afro, I get worried. I get nervous." In an appearance on Fox News today, Williams defended his controversial remarks, saying he simply had intended to convey his "honest experience" of anxiety. He also said he was told his contract was terminated without an opportunity to come into NPR and discuss the firing. If he is correct, that's too bad. I think NPR owed him a chance to explain himself. I'm not privy to the why this announcement was so hastily made. NPR could have waited until his contract ran out, or possibly suspended him pending a review. Either way, a more deliberative approach might have enabled NPR to avoid what has turned into a public relations nightmare. Even though NPR handled this situation badly, the fact remains that NPR must uphold its journalistic standards, which, after all, provide the basis that earned public radio's reputation for quality.